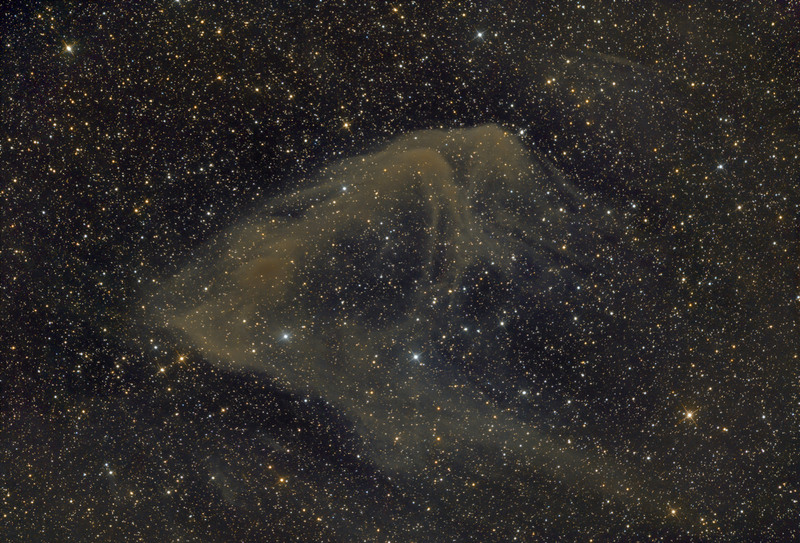 Sh2-63 is an emission nebula visible in the constellation Sagittarius. It is located in the north-eastern part of the constellation, on the border with Aquila and Capricorn. This small poorly luminous cloud has a high galactic latitude and being located just 220 parsecs (717 light years) from Earth, it is one of the best-known nearby clouds. Its galactic environment is the same as by two other small nebulous filaments: Sh2-33 and Sh2-36, even though they are at different galactic latitudes.